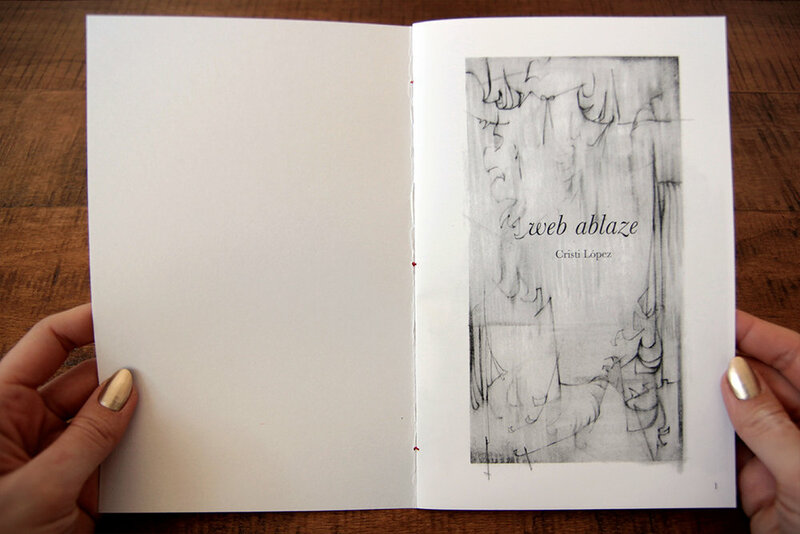 Web Ablaze is a visual exploration of a love poem. It is 12 pages in length. 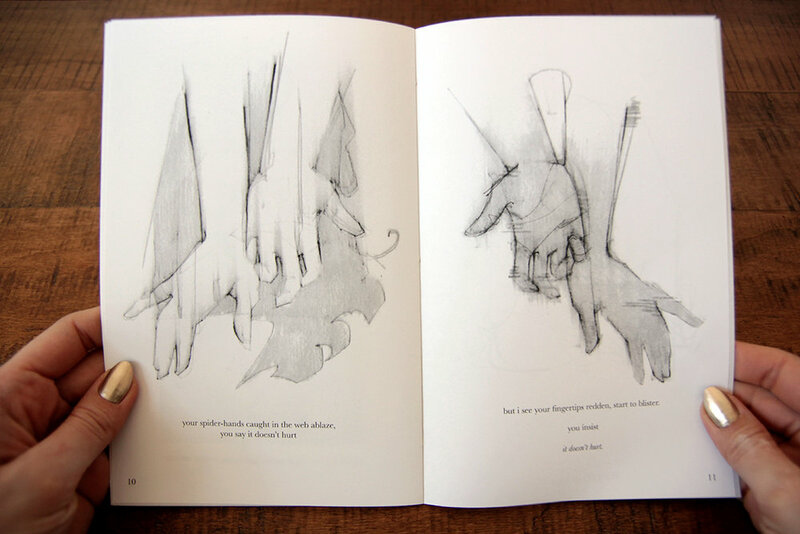 The wraparound cover is opalescent pearl cardstock, the interior pages are text weight, and all graphics are laser printed black and white. 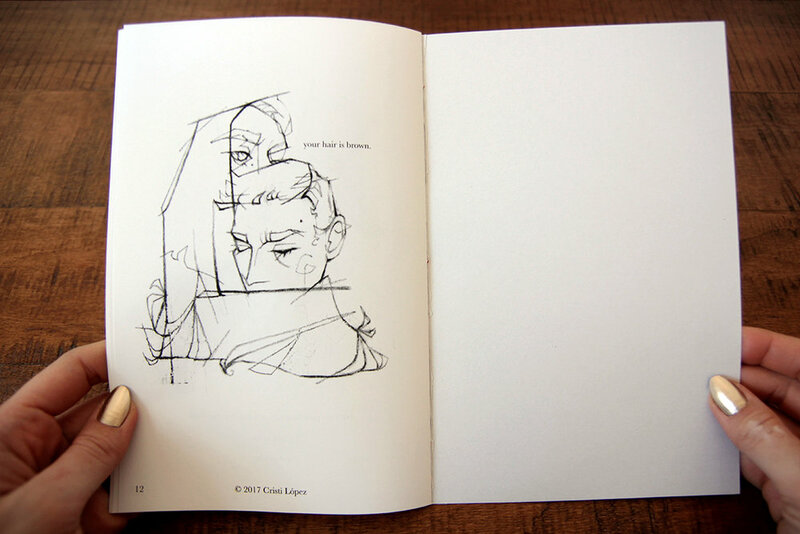 All copies are pamphlet stitch bound with embroidery thread. 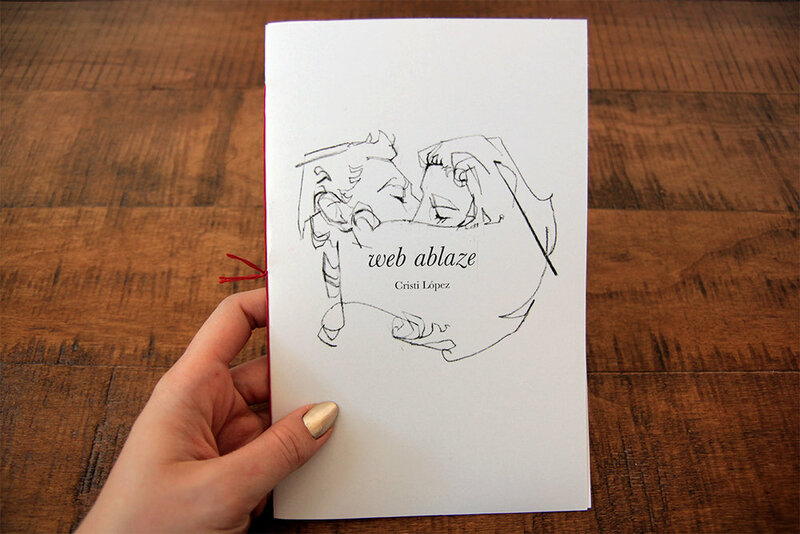 Web ablaze was created in 2017, and debuted at Chicago Zine Fest 2017.
what’s the color of my hair? 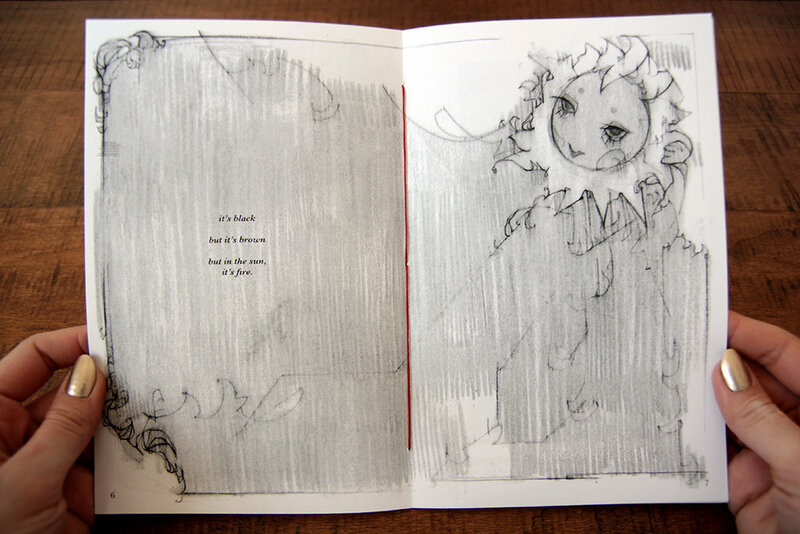 but in the sun, it’s fire. that sets my hair on fire. but i see your fingertips redden, start to blister.